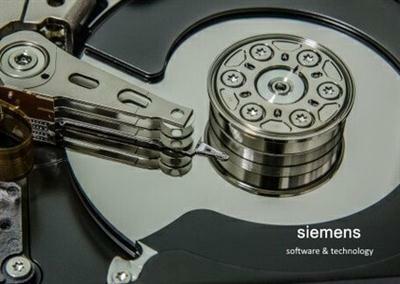 Siemens PLM Software released its latest edition of Tecnomatix. Version 12 offers some updates and enhancements to make plant production planning easier, more efficient, and more cost-effective. While new innovations in plant automation put more production work in the hands of robots, it takes skill and training to operate these systems - opening up more jobs in manufacturing that pay higher wages, involve less manual labor, and are safer and easier for people. Here are the most notable improvements in Technomatix 12. Siemens PLM is touting this version as "Easy Plan," and advancements allow factory floor production planners to run and analyze "what if" scenarios. These scenarios let planners know if a process is feasible and how it will help meet performance goals. It identifies what processes add or do not add value and which procedures maximize efficiency. This feature allows for the creation of more detailed processes specific to that particular plant, and balances the resources available. This leads to better management of production forecasts and allows for numerous production configurations. Tecnomatix 12 provides new simulation solutions to coordinate dual arm robots and groups of independent robots and other devices. More tasks can be automated to improve quality and efficiency. It allows for easier synchronization of independent robots and helps plants develop processes to improve quality and lower prices to remain competitive. These features are especially useful for manufacturing high tech electronics, packaging materials, and other products where quality and price are a constant balancing act. New features also make robots safer for working near their human coworkers. Tecnomatix 12 gives users the power to build models of discrete manufacturing systems within a 3D simulated environment. This allows production planners to run experiments to identify the processes, settings, and parameters that allow for optimal performance. The user interface is also modernized and features capabilities to model and simulate continuous processes involving fluids and recipes. This feature lowers operating costs and reduces the amount of capital investment needed to improve operations. It also helps find ways to improve the efficiency of production, lower energy usage, and reduce the impact plant operations have on the environment - such as lowering emissions. Plus, the optimization feature helps identify and eliminate bottlenecks in production and assists in lowering the WIP (Work In Progress) inventory. Product lifecycle management (PLM) and manufacturing execution systems (MES) enhancements in Tecnomatix 12 makes model-based executions in real life closer to the simulated version via a validation procedure. This improves efficiency while allowing the manufacturing process to be more agile. Plants can manage changes, improve their visibility into processes, maintain hard wiring compliance, and improve designs easier and with greater accuracy. Tecnomatix 12 uses big data to identify quality trends so that the production planner and quality control can fix these issues quickly and prevent repeats of the errors in the future. This feature takes data gleaned from a number of connected measurement devices located within the production lines and generates reports on the information. This feature is also scalable, meaning it can be used across devices within the facility, across different facilities, and even across products from different suppliers. Siemens PLM Software, a business unit of the Siemens Industry Automation Division, is a global provider of product life-cycle management (PLM) software. PLM is the platform for turning more ideas into successful products because only PLM can provide the application depth and breadth needed to digitally author, validate, and manage the detailed product and process data necessary to support continuous innovation. Headquartered in Plano, Texas, Siemens PLM has 51,000 customers worldwide.